Grandma's heart will be overfilled with warmth and joy each time she wears this personalized Christmas shirt. 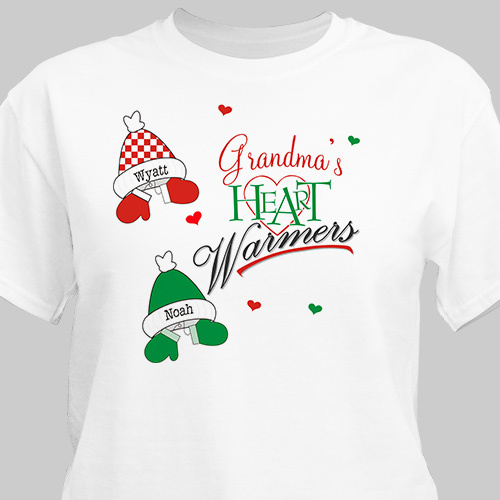 Our custom Heart Warmers shirt can be personalized with any title, up to 16 letters, and decorated with up to 20 hat and mitten combinations, each one beautifully embroidered with the name of a loved one. This winter tee comes in three colors and adult sizes S-4XL. Really beautiful colors and good fit. Love it!